On a daily basis, I confronted the world’s toughest negotiators. No, not clients. My kids! Especially when they were younger. They were relentless. Aggressive. And didn’t know the meaning of “No!” To them, “no” simply set the stage for dialogue. It was simple. Direct. And a momentary stop-gap. And that’s exactly what you deliver. Unduplicatable: can’t be copied, unique, one-of-a-kind. Supremacy: highest quality, superior, the ultimate. When you offer the marketplace constant, awesome, unduplicatable supremacy, your customers benefit. They tell the world. And you profit. Big time! Here’s a simple example of “CAUS” in action. As you may know, in the Chicagoland area, “the hot dog” is considered haute cuisine. And one of the best places to devour this Chicago tradition, is at the Superdawg Drive-In. 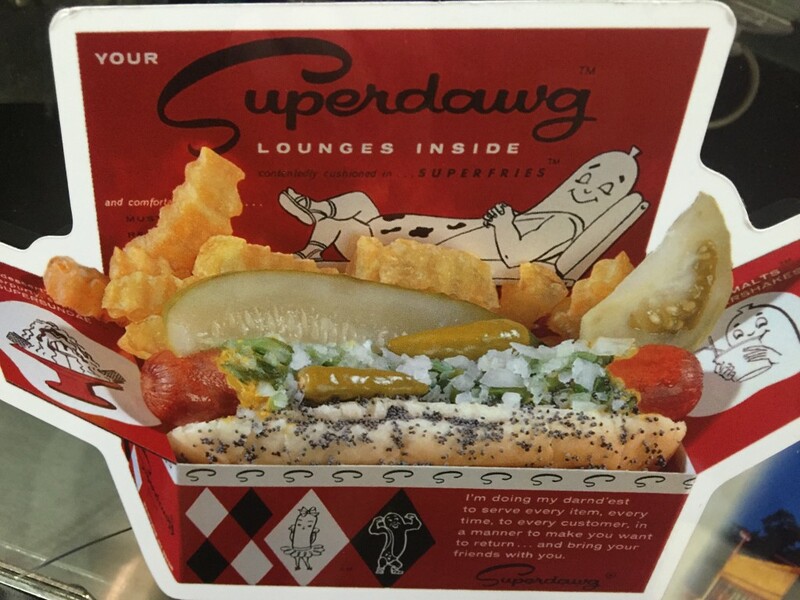 Superdawg is literally a nostalgic throw-back to the 1950s. Car-hops attach a tray to your car window stacked high with snap when you bite ‘em Superdawgs™, hot and crispy Superfries™ and thick and rich Supershakes™. Wow! How’s that for a “CAUS” declaration!? Oh, when you’re in Chicago and would like to witness and taste “constant, awesome, unduplicatable, supremacy” at Superdawg, call me. Lunch is my treat! This entry was posted in Results for Life and Business by superadmin2014. Bookmark the permalink.